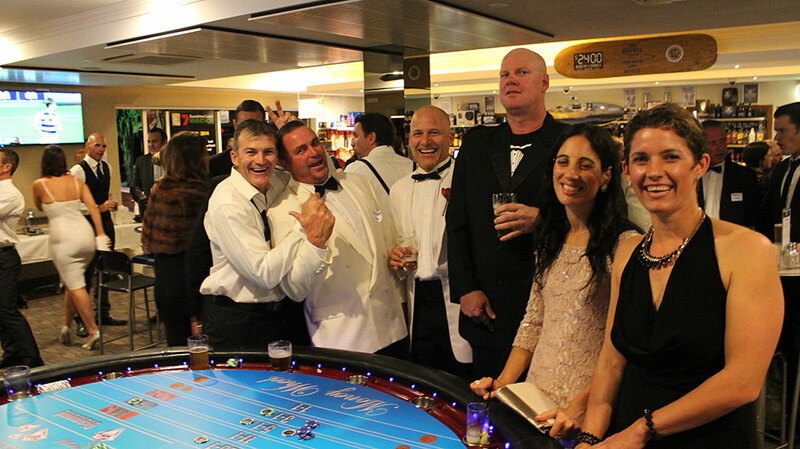 Just by being at a Brisbane Wild Diamonds Fun Casino event you are a winner. A picture beats any testimonials. Brisbane Fun Casino and Wild Diamonds Fun Casino Testimonials. All Fun Casino businesses offer a few testimonials from their customers. They also all say 100% success rate etc. How can you know this is true? All of the testimonials could be friends or family or their own staff!! We know of one company who boasts a 100% success rate. We know this not to be true as we were contacted by one of their customers and they were very dissatisfied with the other companies past performance. This other company knows this but still states on their website 100% satisfaction. So, yes we have dozens of testimonials, just like the rest. They are all genuine, and we have never had a complaint (honestly), but how can you verify that? We will publish some anyway. Probably our best testimonials come from our staff who are subcontractors, which means they are free to work for the other companies as well as ours. Our staff all state that our equipment is better which makes their job easier, this flows onto better customer service and a higher level of entertainment. In some cases they state unreservedly that they would prefer to work for us and often ask us if we have work for them before accepting jobs from other companies. That is something that we are extremely proud of. You can meet them on the night and ask them yourself. The testimonials below are from customers who are willing to give their name and have stated they are willing to talk to prospective customers. There are no anonymous users or staff here. “The Wild Diamonds Fun Casino is just incredible. We recently used this amazing local company to help bring a different focus to our Christmas party and it was just awesome. Most of our staff have commented on the night being one of the best that they have had in years. People who thought the idea boring were the ones who kept coming back for more. It is not like a normal casino…it is actually fun. Lucy and her team are amazing professionals and helped make the night entertaining and easy for everyone involved. They were very patient with those that had never played before and gave tips along the way. The overall experience with the setup, the fun money, the trophy and the games was highly engaging and created an awesome atmosphere. Nothing was too difficult and all through the planning experience the Wild Diamonds team treated us with patience and respect. Thank you some much for making my 40th such a fun night. Everyone had a ball – had so many comments on what a fantastic set up you have. I’m glad you all had a great time too, despite that you worked so hard. I think there will be a few people making their way to Jupiters next weekend. After last night they’ve got the casino bug!!! Thank you for being so professional. You guys made it so easy. It is all the little things you do that made the night so special, right down to the fun money and the trophy. You definitely deliver what you promise. It was a night that everyone will be talking about for a long long time. Please take any of this to use as a testimonial. Happy for you to use my name. Hope you have many more successful events in the future. Thanks to you and year team for a absolutely fantastic night. Everyone has not stopped talking about it and are already wanting it again for this year’s party. The professionalism from the booking stage up to the night of the team was outstanding. I would have no hesitation is recommending your company for anyone wanting something a little bit different for the next event and in fact have already done so. I look forward to future dealing with you.